In the late 1990s, widespread systematic grey squirrel control was often seen an expensive and unsustainable option and consequently red squirrel conservation was ad hoc and fragmented. 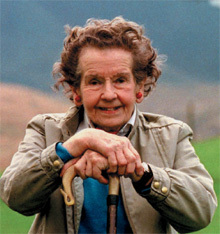 Esmé Kirby, founder of the Snowdonia Park Society and a pioneering conservationist, was appalled at the failure of government agencies to act decisively to conserve red squirrels. In her typically direct and forthright way, Esmé galvanised local support for red squirrel conservation on Anglesey and a project was launched in the summer of 1997; a project based firmly upon the eradication of grey squirrels from the island. In 1998 Judith Moss and Dr Raj Jones set up the Friends of the Anglesey Red Squirrels which aimed to be an interface between the project and local people, facilitating volunteering and involvement on Anglesey. 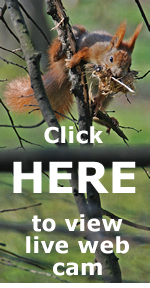 Membership steadily grew to over 300 with a modest annual subscription funding the production of education material and the red squirrel webcam. Registered as a non-profit making Trust in 2007, in 2010 the group successfully drew down Heritage Lottery Funding. During 2011, the Friends of the Anglesey Red Squirrels Trust recognised the potential to restore red squirrels to large parts of Gwynedd and rebranded as “Red Squirrels Trust Wales”. Dr Craig Shuttleworth: Craig has twenty years experience working in red squirrel conservation. He is the Scientific Advisor to the Red Squirrel Survival Trust (Patron HRH The Prince of Wales) and the European Squirrel Initiative. Becky Clews Roberts Red Squirrel Ranger. Becky covers the Clocaenog forest area. 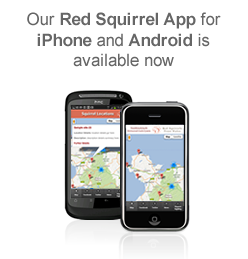 The Red Squirrels Trust Wales (Friends of the Anglesey Red Squirrels Trust) is a company limited by guarantee (Company Number 6248674). The Board typically has 6-12 members and holds an annual AGM. Ms Natalie Chivers – Head Curator Treborth Botanical Gardens. The Trust have always believed that local action and support would deliver local success, and it was this ethos that has provided the platform for the red squirrel conservation program we see today. The successful restoration of red squirrels on Anglesey was a task that has only been possible because of the hard work of many volunteers and passionate conservationists. Judith Moss and Dr Raj Jones founded the Friends group with the support of Ralph Oxley (North Wales Wildlife Trust), Hugh Knott (Menter Mon), Rebecca & Gareth Pritchard, Martin Bailey (Wildlife & Countryside Services), Robert ‘Bob’ Lowe (Countryside Council for Wales) and Dr Craig Shuttleworth. For over a decade we have pioneered public participation in red squirrel conservation; developing a suite of educational materials, leading guided walks, advising local woodland owners about management and building opportunities for people to see wild red squirrels. Much of this educational work was fostered by Raymond Reynolds and Bethan Wyn-Jones and has been recognised with national awards (e.g. Ward Cup). In 2008 we recognised that the long-term future of the practical conservation work would require significant core-funding and by the summer of 2011 we had raised almost £400,000. Today we are regional partners in the EU Life 14 Red Squirrels United project. The same year, the Trust rebranded as “Red Squirrels Trust Wales” and rolled out a landscape wide project to remove grey squirrels from large areas of Gwynedd.